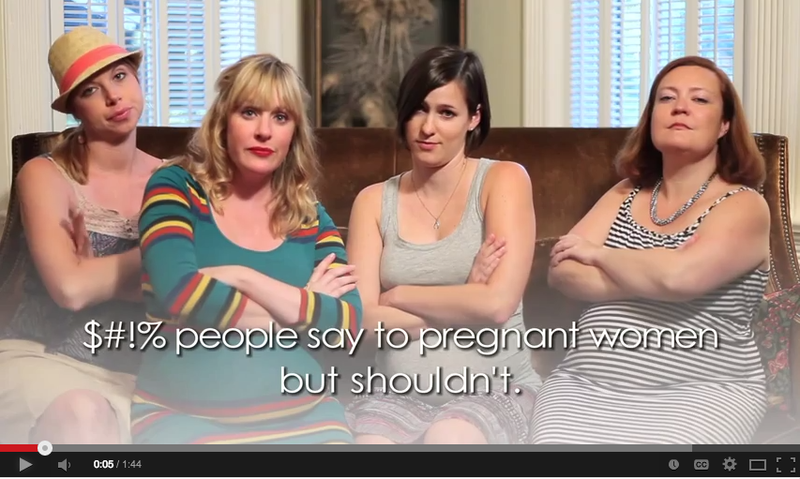 Remember my previous post rant about the annoying things people say to pregnant women? Well, thanks again to my filmmaker buds Tabitha and Stephanie, I gathered a group of pregnant girlfriends together and filmed our own version of "Sh#t People Say," which included our own creative call and response. Thanks to the baby mamas who were good sports about filming this with us - Lauren Morrill Ragusea, Betsy Fitzgerald and Heather Knowles. Watch, laugh, take heed and be warned.